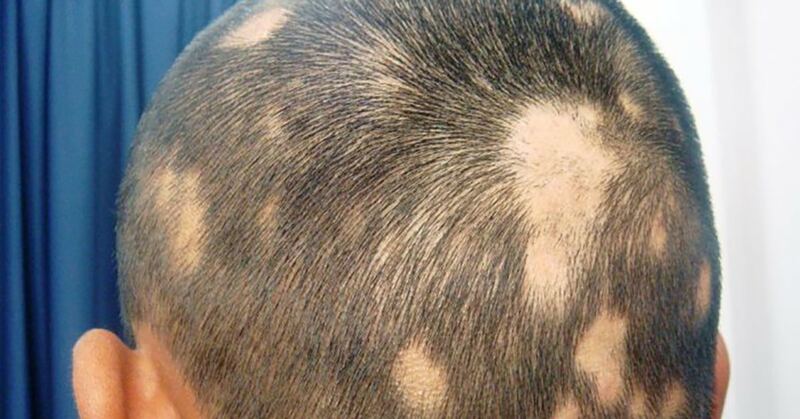 “Alopecia areata is an autoimmune disease with a complex genetic basis. There may be a pattern in the family of this type of hair loss but often it can appear in patients where there is no history of hair loss at all! It typically presents with patchy hair loss and can progress to total baldness. Hair loss can extend to other areas of the body such as the eyebrows, eyelashes and body hair. It can have a big impact on patients’ well-being. Treatment is often challenging but can include creams/lotions and injections if the hair loss areas are mild. If the area of hair loss is a bit more substantial, then consideration of oral medications and even immunosuppressive drugs may be needed. Posted in Uncategorized and tagged alopecia, hair loss, hope dermatology, South Melbourne.